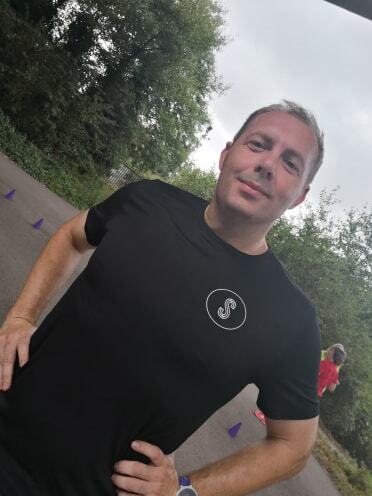 Runner of the Month is back and the first for 2019 is our new Chair and Head Coach Rich. Runner of the Month is not about who’s the best runner or who has achieved the most, it’s a way for us to share our running stories and learn more about each other. Oddly enough, my running journey started with a boat. I’d gone past my 32nd birthday and I’d taken part in Llandaff Rowing Club’s annual Pub and Club Regatta, where they take novice crew and train them up for a race. I’d not really done any sport for about a decade and I was still smoking about 15 cigarettes a day; taking part really brought it home to me how unfit I’d truly become. This was my running equivalent of a moment of clarity. Decisions were made; I was going to start running and give up the smokes. Digging out a pair of very old, very cheap trainers that even Sports Direct would balk at before selling, a pair of beach shorts and my most disposable cotton t-shirt I planned out a two mile loop and proceeded to run-walk around it, using the lampposts as markers. It was awful, but I stuck with it. 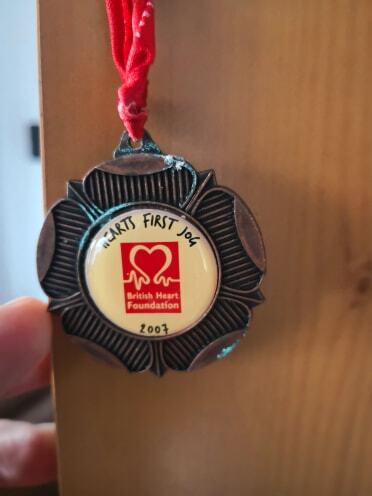 In 2007 I completed my first 5km ‘fun jog’ event, and then six months later tried my first 10km and almost murdered my feet with the aforementioned trainers.  I ran the very first Cardiff parkrun in 2008, and my first Cardiff half-marathon in the same year but the running bug had still to really bite me – I wanted to be better at, but didn’t know how. 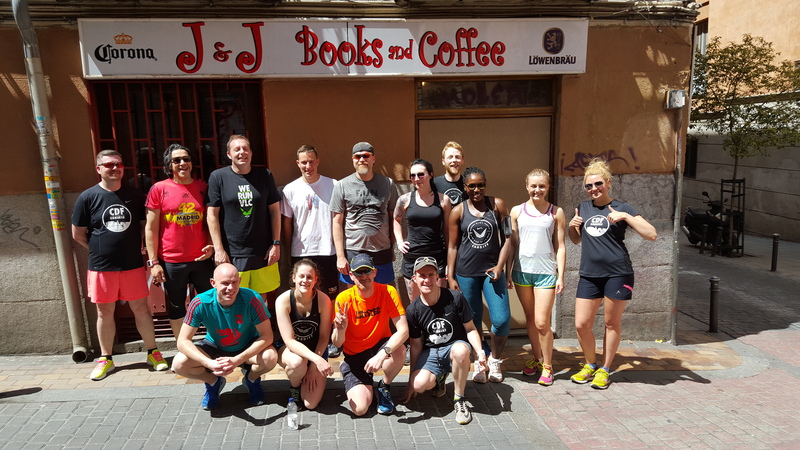 The idea of joining a traditional running club felt intimidating, but I noticed the newly-opened Nike store was providing a weekly free running club and that appealed to me – something that could help me improve my running but with a minimum of a commitment. The group was pretty small initially but friendly and encouraging; we pushed each other and had fun doing it while being coached by some fantastic athletes. From here, my running and my general interest in running grew and grew – my times over all distances improved and I completed my first marathon. Inevitably, however and I tried to get faster and faster injury struck – I had problem with Achilles tendon pain, plantar fasciitis and more over a period of several years. Being injured was rubbish – I found that I relied on both the exercise and community to help cope with day-to-day stress from work and private life and having this taken away really hurt. To try and deal with this, I started volunteering at parkrun to try and give back to the event that I enjoyed so much and took the Leadership in Running Fitness qualification with Welsh Athletics to enable me to help out with the weekly sessions. Then, abruptly the Nike store closed; I’ll be forever grateful to them and more importantly, the staff who organised the run club (Ieuan, Fran, Emma, Jon, Lauren, Jack, Beth, Charlotte and Kieran) for both their expertise and the principles that still guide us today – that running should be a fun, friendly, inclusive experience open to everyone, be it someone who’s just starting out on their journey to the 20-year vet. My goals really have changed in the 10+ years since I started running; I’ve realised that I want to be running for the long term and while it’s great to be chasing personal bests, for me to be healthy and enjoying my running is more important for me (that’s not going to stop me trying, though!). Additionally I’ve found I take more now from helping others achieve what they want from the sport – whether that’s finding a friendly place to come and run, having a parkrun to go to on a Saturday morning or working towards a distance or time.